1. If you don’t know any part of the assignment work. How to write, you are required to undertake, please talk with your teacher or with the course coordinator. 2. Submit the task work at a particular given time. If a student submits an assessment after date then you will be unable to gain good marks. 3. All work is to be done with high content quality, no copied content, if your content is copied then reject your task work and again you will start a new task, you will be unable to gain high marks in exams. You can take an example of any construction company, suppose you work for a construction company. In that company administration employee is 12, 18 construction personnel and 60 construction subcontractors. Some workers work on site face, work is changing on rotation wise. Three months ago introduced a new product produce that was very heavy and the number of back injuries being reported. You provide a toolbox meeting to inform the workers of the new procedures and techniques. You now need to evaluate the strategy to determine whether it has met your aim of reducing back injuries. 1. Define the company back injury rates, reason and injury reports. 2. Explain the reason for actual back injuries and clarification with the key workers. 3. Give an injury proper detail, overall injury rates, and causes. 4. Establish a norm for performance and employer association state jurisdiction. Create a procedure for developing a system and to remove injury rates. 1. Judge the management process. 2. Identify the improvement area will be improved through the new system. 4. Include the outside data in the evaluation process. a. Suggest the different activities or process that would help to encourage the employee performance and continuous improvement in an organization. b. How and what ways do you think these strategies would impact productivity? A workplace employs 75 workers who work a total of 150000 hours in a year. They experience eight lost time injuries for the year, resulting in 65 days off. 3. Average lost time/ severity rate. Describe the new strategy to present a next senior executive weekly committee meeting. Strategy present in tabular or graphs form. 1. Teamwork is essential in any organization, so appoint a newly healthy and safety representative for your workgroup. a. workers are unsure of the health and safety legislation and codes of practice that relates to them. b. workers have not received training in the organization’s health and safety policies, procedures, and programs for two years and people are unsure which is current and which have been superseded. c. There is no mechanism to inform workers of hazards (and their assessment) that have been identified in their work area. d. Historically there has been little encouragement or support for work teams to manage work area hazards. f. There was little communication back to workers if consultation about health and safety issues did occur. g. A health and safety training needs analysis has not been conducted for two years. 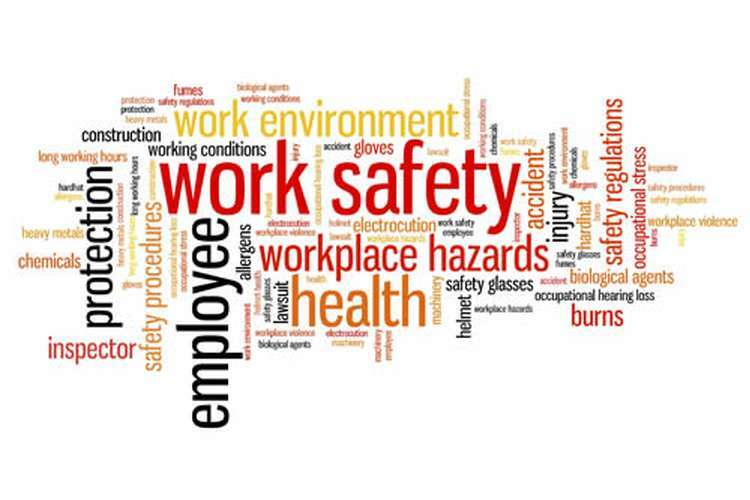 h. There are some pressing health and safety information gaps that can be addressed by training. i. Management is reluctant to approve health and safety training as they fear it will cost too much. j. The workplace hazard assessment has not been updated for the last six months. k. There are four hazards that were identified in the last hazard assessment that have not been actioned. l. There is no procedure in place to use data to identify risks, control those risks, or monitor outcomes of reported inadequacies.